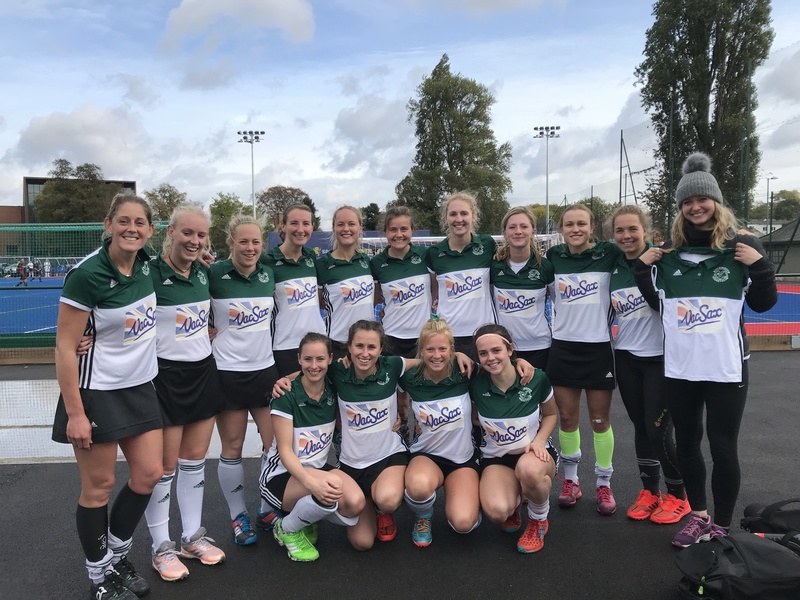 Buckingham made the short trip to Birmingham for their third match of their Investec Premier League campaign. The side started sluggishly. They were ponderous on the ball and lacked their usual energy and intensity on defence, which resulted in the hosts having the better of the opening exchanges. The University of Birmingham were rewarded in the twelfth minute when they scored from their first penalty corner to take a 1-0 lead. The goal seemed to spark Buckingham into action and they came back into the game strongly. They were on level terms after twenty one minutes when Maddy Newlyn scored her second of the season following some good work down the left had side by Phoebe Richards and Katrina Nicholson. The remainder of the half ebbed and flowed as both sides played attacking hockey but it was the hosts who took the lead again just before half time, scooping a rebound high into the net for a 2-1 advantage. However, Buckingham remained calm and composed during the half time interval and they were back on level terms just a minute into the second half when more good work on the left had baseline from Alex Naughalty saw Richards finish smartly from close range. Buckingham were now in the ascendency and twice came close to taking the lead but were denied by the home goalkeeper on both occasions. With both teams going all-out for the win, player of the match Ella Jackson was called upon to make a couple of telling saves in the twentieth minute. Just few minutes later Tash James skilfully rounded the onrushing home goalkeeper but saw her shot shave the wrong side of the post. Buckingham were now looking really dangerous and the stronger of the two sides as another great chance came and went shortly afterwards. In a breathless last five minutes, it looked like Buckingham would be heading home with all three points. First, James and the Nicholson went close, before Newlyn hit the crossbar with an audacious lob, and in the final minute Kitty Higgins had the ball over the line, only for the umpire to rule the goal out for a perceived infringement but still award Buckingham another penalty corner. Unfortunately, Lauren Thomas’s strike flashed wide as a highly entertaining and action packed game ended 2-2. The result was a little bit frustrating but it was a pleasing performance. We started slowly but grew into the game and given the chances we created in the second half, especially towards the end we were all a little disappointed not to come away with a win. However, Birmingham are a very good side and it was another tight, physical and highly competitive fixture, so another point away from home is a reasonable return. I was really pleased with our attacking intent and number of chances created but we still need to be a bit more clinical and there are still aspects of our press that we need to tidy up, so enough to work on this week. After two away fixtures, the squad are very looking forward to being back at home at Stowe School on Saturday when we will also look officially unveil our new 1st Team shirt sponsor - VacSax.